Creating your program or API is only half the battle. Even after you have coded for tireless hours to create a user friendly API, there is no guarantee people will use it or even see it. So how do you get your API out there? There are many sites for advertising your API. The problem is they often are hard to find, so we here at Sezion decided to help you out and share some of our favorite places for you to promote your API. The following sites are directories of API´s where people search for APIs that fit what they need. People can also browse through APIs if they are unsure of exactly what they want. They are all great places to post your API and give your brand some more visibility. APIS.IO is an open source and free API registry service. It allows developers to publish their API and explore other API´s. One can search for API´s by company name or by topic of company. Apicultur is an API directory site that focuses on APIs that process and analyse texts and word. It allows you to search by category and when you click on an API it gives you a brief description of how the API works. Apicultur has both a Spanish and English version of its site to make it more user friendly. Public API´s by Mashape is directory for API´s. It´s not quite as organized for browing as sites like Betalist or APIS.IO, but if you know what you want it is ideal. It allows users to search by category or company name and it has hundreds of API´s. FindWebAPI is a API directory that is sorted by categories. It currently has the most API´s for Enterprise and Advertising. One can also sort the APIs by Data Format or Protocol. 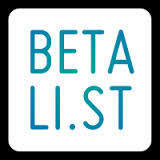 Betalist is a site that allows startups to advertise their company while it is still in the beta state. It is not the same as the other API directories listed above because this site primarily focuses on start up companies not just API´s, but by pacing through the categories on BetaList one can find many companies with API´s that could be of use and might be attainable if you contact the company. Betalist is not a free site, but does have a vast network of people who use it. On Stackoverflow people ask questions like ¨what is a good api for this?¨ On this site, you can answer with information about your API. Not only will the sites visitors be able to see the answers to their own questions, but also other questions posted to the site. Despite the downside that you have to answer questions individually, sites like this can be very useful because you know at least one person (the asker) will see your API. No matter how many sites you advertise on it is always important to be able to test your API and track its success. No matter what your API is for, if you company needs video enhancement, personalized videos or automatic video creation, Sezion has a video API and a video SDK for you (here you’ll find the Documentation or get your free account here). 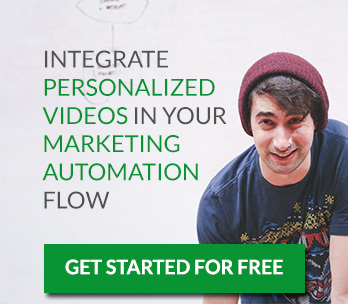 Marketing tips, Resources, Slides API, apimarketing, apipromotion, getyournameoutthere, marektingdirectory, marketing, seo, seotools, software, softwaredevelopment, VideoMarketing. permalink.